The Final Shot Podcast has a who's who of combat sport athletes contributing to the show. From current champions, promoters and up coming superstars here is the Final Shot hit squad. The Hit Squad is a list of featured or regular contributers to the podcast. Adam Braidwood (born June 1, 1984) is a Canadian professional boxer, actor, martial artist and retired professional football defensive end. He spent the entirety of his professional football career with the Edmonton Eskimos of the Canadian Football League, having started with the team in 2006. 10 Minutes with the BoogeyMan his weekly podcast feature is always a fan favorite where you get a updated information on Adams training, drama and upcoming fights. After a very short amateur career in the US where he had only four bouts, Dario Bredicean made his backpack and travelled to Germany, where he began his professional career in 2013 at the age of 19. In 2013-2014, he won six fights, all in Germany, before returning to the United States. Spotted by Chris Ganescu and Lucian Bute, Dario was taken under the wing of the Grant brothers in Montreal. Since then, he evolves in Quebec, with GYM and Rixa Promotions. Agile and spectacular, Dario Bredicean has just started to impress the boxing fans! His feature The Super Mario Dario Minute is the most downloaded segment on the podcast. Dario's funny upbeat positive segment is hilarious and needs to be heard to be believed. Ryan Ford aka The Real Deal aka The Canadian King Of Combat (born March 8, 1982) is a Canadian professional boxer and retired mixed martial artist who competed in the Welterweight division. A professional competitor since 2007, Ford has also formerly competed for Bellator, the WSOF, the MFC, TFC, and the AFC. Get close and personal with Ryan each week as he calls in and gives you the low down on the current states of Boxing, MMA and the life of a combat sport athlete. Erin Young Toughill aka The Boogeychild's body guard (born June 13, 1977) is a retired mixed martial artist and former boxer and American Gladiator (Steel). She began kickboxing at the age of 18 and started training in Brazilian Jiu-Jitsu soon after. Under the watch of her LA Boxing trainer Sean McCully, Toughill debuted in mixed martial arts on September 27, 1999 and fought to a draw with Irma Verhoeff at World Vale Tudo Championship 9 in Aruba. Less than a year later, she made her professional boxing debut on July 20, 2000. Along with her MMA career, Toughill holds a professional boxing record of 7 wins, 3 losses, 1 draw and 1 no contest. 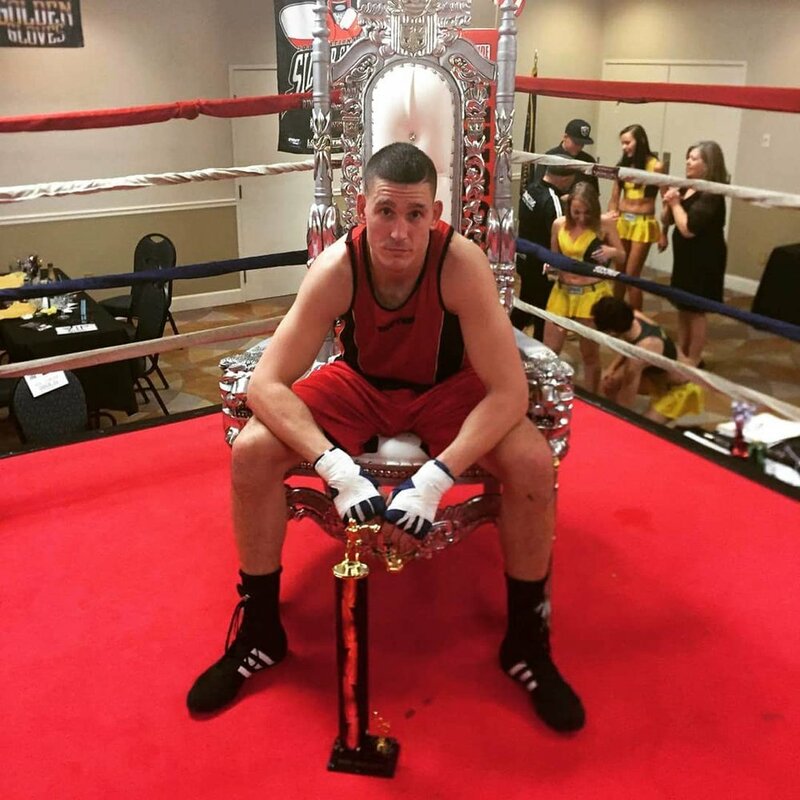 President of KO Boxing, Mel Lubovac is a rare breed. Born into boxing and now a powerhouse boxing promoter. To be highly respected in a male dominated industry is a rare thing and Mel is on top of the game. Shut up and listen when Mel speaks there is a reason she is in the position she is in. Bryan Colwell (born October 31, 1989) is the current Canadian Amateur Heavyweight Boxing Champion. Weighing in at 91kg (201lbs) Bryan’s athletic journey didn’t begin in the ring however. Originally from Fort St. John British Columbia, Bryan grew up playing soccer and upon graduation from high school moved to Victoria to attend the University of Victoria and earn a scholarship playing on their soccer team. Before tryouts Bryan was told that while his skill was sufficient to garner a spot on the team, his fitness would need to be improved. Bryan’s solution to this quandary led him to Island Mixed Martial Arts training facility to enroll in their combat cardio conditioning classes. His first class was a boxing lesson and the next morning he cancelled his UVIC tryout; he knew he never wanted to play soccer again. Bryan had found his true calling. Bryan’s combat sport career also didn’t start in the boxing ring, but rather in a myriad of local combat sport competitions including kickboxing and grappling tournaments. As his skills progressed, Bryan started to move away from grappling and focusing on stand up combat sports first by capturing both local kickboxing and boxing titles. When his success demanded a more direct focal point of his abilities and attention, Bryan settled on boxing and entered into the Boxing BC program with the goal of making the national team and representing Canada on the international scene. Three years later he achieved his goal and secured a spot on the Canadian National Boxing team with the new ambition of competing at the 2020 Tokyo Olympics. During his time competing Bryan has also completed a Business Administration certificate from Camosun college in Victoria, BC. But now that he has relocated to Montreal for the national team’s centralization process will return to post secondary education next year to pursue a degree in Finance. In addition to his training and studies, Bryan always seeks to give back to the community through boxing including coaching the 2016 Fight For a Cause Charity boxing gala.